Maryse Conde. Conde, Maryse, photograph. © Jerry Bauer. Reproduced by permission. West Indian author Maryse Boucolon, who writes under the name Maryse Conde, is a prolific novelist, playwright, and critic, whose books explore the clash of cultures and races, particularly in Caribbean settings. A French-language author not widely known outside of France and her native Guadeloupe, Conde writes novels that are rich in historical detail and political discussion. Private Life and Education. Born February 11, 1937, in Pointe-a-Pitre, Guadeloupe, Conde is the youngest of eight children born to Auguste and Jeanne (Quidal) Boucolon. Guadeloupe is an archipelago, a group of islands, located in the Caribbean Sea and governed by France. It is part of the European Union. In 1953, Conde’s parents sent her to study abroad for several years, at Lycee Fenelon and Sorbonne in Paris. While abroad Conde focused her studies on English literature. Five years later, in 1958, she married an African actor, Mamadou Conde. Restless Years and Move to London. The early 1960s were difficult for Conde. To avoid arrest, she was forced to move from country to country, never safe enough to settle in one place. While difficult, Conde saw the advantages of frequently changing perspectives and seized these opportunities to enrich her writing. Professionally, Condee worked as an instructor at Ecole Normale Superieure in Conakry Guinea; at the Ghana Institute of Language in Accra; and the Lyce Charles de Gaulle in Saint Louis, Senegal. Eventually, she fled to London and earned her doctorate degree in comparative literature in 1976 after completing research on black stereotypes in West Indian literature. First Novel, Divorce, and Remarriage. Conde’s first novel, Heremakhonon (1976), relates the journey of Veronica, an Antillean student searching for her roots in a newly liberated West African country. During her stay Veronica becomes involved with both a powerful government official and a young school director opposed to the new regime. In 1981 Conde divorced Mamadou and shortly after, in 1982, married Richard Philcox, her translator. Constructing Characters of Resilience. Subsequent Conde novels have varied in scope and setting from more sweeping historicals such as Children of Segu (1984) and The Last of the African Kings (1997), to character-driven narratives such as Crossing the Mangrove (1990) and I, Tituba, Black Witch of Salem (1986). 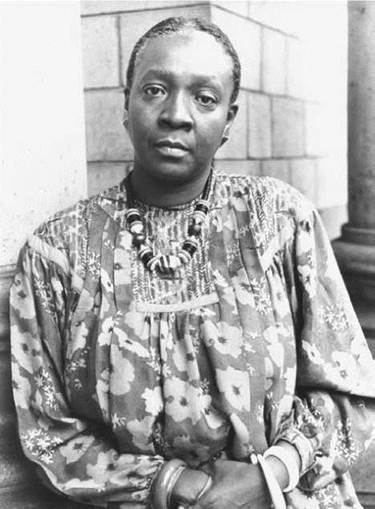 In the New York Times Book Review, Howard Frank Mosher observed that one thread uniting all of Conde’s work is the creation of “characters [who] not only survive the worst that life can throw at them but also often prevail, on their own terms, against overwhelming odds.’’ Tituba is one such character. Much information about the historical Tituba—a female slave who was accused of witchcraft in Salem, Massachusetts—remains a mystery but Conde weaves a fully fleshed tale about the remarkable woman and her triumph over a wealth of adversity. Between 1692 and 1693 more than 150 people were arrested on suspicion of practicing witchcraft in several counties across Massacusettes. Of those accused, nineteen were hung, at least one man was crushed to death under heavy stones, and others died in prison. Tituba was the only one, of three women initially accused, to confess her alleged guilt, although scholars speculate that she was coerced to confess with physical abuse. Retelling a Classic. In Windward Heights (1998), Conde retells the classic Wuthering Heights (1847) story by Emily Bronte. Set at the beginning of the nineteenth century in Cuba and Guadeloupe, the novel explores the corrosive, obsessive love between darkskinned Rayze, a foundling, and the mulatto Cathy Gagneur, who shuns Rayze for a lighter-skinned Creole husband. As with the novel upon which it is based, Windward Heights plays itself out over a series of generations, as Rayze’s fury shapes his children and their choices into adulthood. The literary culture of the Caribbean from which Conde writes is rooted both in the oral traditions of the West African griot and in the scripted literature of Europe. Critics of Desirada and Conde’s other works have honored the author’s use of French as a medium for relating the West Indian experience. Although she has retired from her career as professor emeritus at Columbia University, Conde continues to publish her writings, travel, and speak publicly about her work. Warren Beatty (1937—): Academy Award- and Golden Globe-winning American actor, screenwriter, producer, and director. Kamau Brathwaite (1930—): Barbadian poet and a major figure of the Caribbean literary scene. Derek Wolcott (1930—): West Indian poet responsible for Omeros, a retelling of the Odyssey, set in the Caribbean. Philip Glass (1937—): Three-time Academy Award-nominated American composer. Glass is widely considered one of the most influential composers of the late twentieth century. Bob Marley (1945-1981): Revered Jamaican musician whose legacy lives on via his musical children and his famous dreadlocked image. Emphasizing the effects of transition upon ordinary individuals, Conde places her protagonists in situations where they must choose between the existing West African social order and cultural changes prompted by Western influence. The thematic content of her work reflects both her education in the Western world and the diverse cultural experiences of her travels. Conde is praised for her authentic rendering of such diverse locales as the Caribbean, Africa, and Europe as well as for the lyrical qualities of her prose. Difficult Politics. Conde’s first novel Heremakho- non, like many of her later works, is concerned with people placed in or near the seat of political power and affected by the applications of that power. The narrator, Veronica, is the eyes of the reader, but she turns those eyes inward as well as outward. As a free narrator, she can and does jump from time period to time period, but the drama of the whole book is encompassed in a battle between her lover, Ibrahim Sory, and her institute associate and revolutionary, Saliou—a battle waged in and against the name of the titular ruler, Mwalimwana. Veronica does not recognize the fact of the battle early on and she never fully understands it. For the most part, Saliou and Sory impinge upon her nonpolitically—as do other characters caught in the struggle. The political issues force themselves upon her, and upon us, the readers, and it is for political reasons that her stay in Here-makhonon is terminated. The reader may feel that he knows more than Veronica does about the power struggle, yet he always remains dependent upon her for confirmation or refutation of his judgments. Out of Africa (1937), a memoir by Isak Dinesen. The Dutch narrator describes her often idyllic—though sometimes heartbreaking—life on a coffee plantation in Kenya. Cry, the Beloved Country (1948), a novel by Alan Paton. A preacher searches for his son amid the streets of Johannesburg, South Africa, on the eve of apartheid's implementation. Things Fall Apart (1958), a novel by Chinua Achebe. Set in Nigeria, this work deals with the family of an athlete and leader as they struggle under the yoke of British rule. The Poisonwood Bible (1999), a novel by Barbara King-solver. Set in the Belgian Congo in 1959, this work tells the story of Nathan Price, a Baptist missionary from Bethlehem, Georgia, who takes his family to Africa to spread the Word in a remote jungle village. 1. Compare and contrast Windward Heights (1998), Conde’s retelling of Wuthering Heights (1847), with Jean Rhys’s retelling of Jane Eyre (1847), Wide Sargasso Sea (1966). 2. Conde has said she is not a political writer. Find evidence to the contrary and explain why you think she is. 3. Do you trust Veronica as a narrator in Heremakhonon? Why or why not? 4. Do you think, as some critics have complained, that Segu is too dense? If you were Conde’s editor, what would you suggest she cut out? 5. Compare Conde’s character Tituba with Arthur Miller’s version in his play The Crucible (1953). Conversations with Maryse Conde. Lincoln: University of Nebraska Press: 1996. Mitsch, Ruthmarie H. ‘‘Maryse Conde’s Mangroves,’’ Research in African Literatures (Winter 1997): 54. Mosher, Howard Frank. ‘‘Staying Alive.’’ New York Times Book Review (May 31, 1987); (October 25, 1992). Tepper, Anderson. ‘‘Windward Heights.’’ New York Times Book Review (September 5, 1999).